Contouring with a spoon is super easy. Start with positioning the inner surface of the spoon on the apple of your cheek and then, apply the contouring product (no matter whether it is a cream, powder or stick) on the hollow along the bottom edge of the spoon. Once you are done with it, simply remove the spoon and blend well. The curved sides of a large spoon can turn out to be your most reliable friend to get perfectly shaped eyebrow arches. Arrange the curve in a line with the upper and lower section of your brow respectively and outline it with the help of a brow pencil lightly. You just need to fill it in and you are done. Don’t know how to create a ‘cat-eye look’? A spoon can be of your great help. The rounded rim and the straight bottom part i.e. handle of a spoon work wonder for getting the perfect winged tip of the eyeliner. Create a straight line by aligning the handle with the outer corner of your eye at the angle of your lower lash line. Also, draw another line by positioning the rounded rim against your lid. Finally, fill the outlined space with your favorite liner. Give your eyelash curler a miss and opt for ‘spoon curling’. At first, you have to hold the inner side of the spoon against your eye lid comfortably. 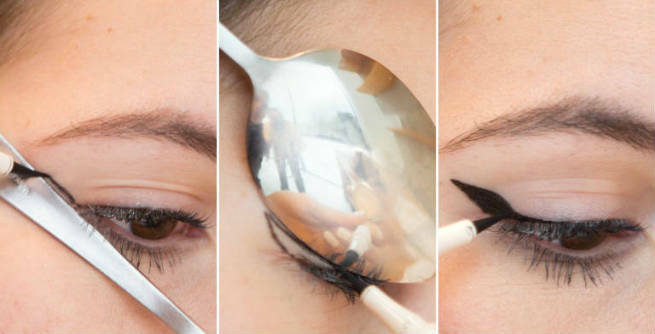 Now, push your lashes up against the edge of the spoon lightly with your thumb. Your perfectly curled eyelashes will be ready. 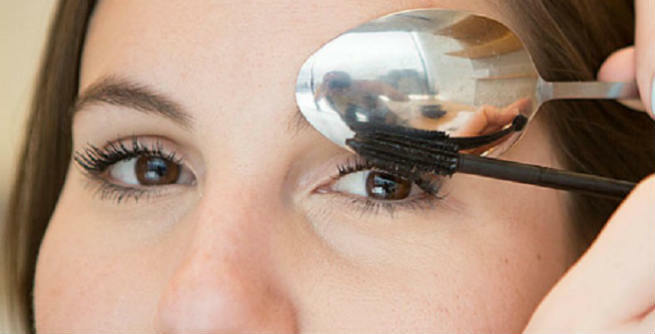 Prevent mess while applying mascara by placing the straight lower part of the spoon against your skin. There is no need to be tricky during the application as the spoon will work as a wall amid the skin and the lashes. Just make sure that your lashes are pressed by the mascara wand against the spoon to get complete coverage. 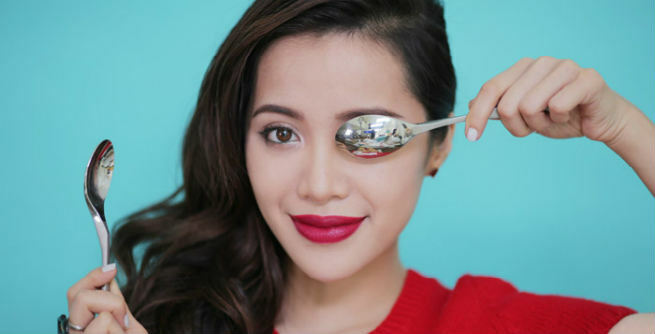 Metal spoons can help you a lot in reducing your under eye puffiness. Take 2 large spoons and put them inside the refrigerator for the whole night. Next morning, take them out and glide under your eyes by placing their backsides against your skin. You need to put a little pressure while sweeping the spoons towards the outer corners of your eyes. What if you end up breaking your newly purchased beauty and makeup products accidentally? Well, a spoon can help you in this too. Just pour a few drops of rubbing alcohol on the product and apply light pressure on it with the backside of the spoon. The broken pieces will get attached and look like a new one upon drying.